When you have a website that runs on wordpress you will need security to ensure that safety of your site. There are many hackers that will try to login into your site using your site’s admin panel to add malicious code to earn them free traffic or to add mining software that will eat your computer’s processing power. 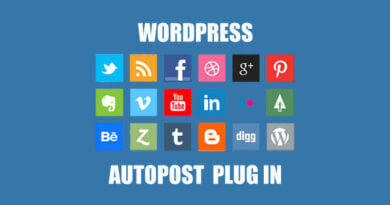 Wordfence is the best wordpress security plugin that are free and easy to install. 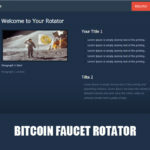 Cryptocurrency faucet owners should be very cautious when running a bitcoin faucet on wordpress. Total security is a must, because he can lose all of the bitcoin he has if his faucet is compromise. When someone else takes control of the faucet admin panel. He can transfer all the bitcoin to his own bitcoin wallet address and initiate withdrawal. If this happens the faucet owner will lose all his bitcoin and will leave his faucet dry. Wordfence is 100% free and it is also open source and one of the best wordpress security plugin. So right after you finish installing wordpress, security is the first thing you need to implement in your site. Wordfence is by far the best free security plugin you can use to protect your site against attacks. If you want more protection you can pay for the plugin’s premium features. 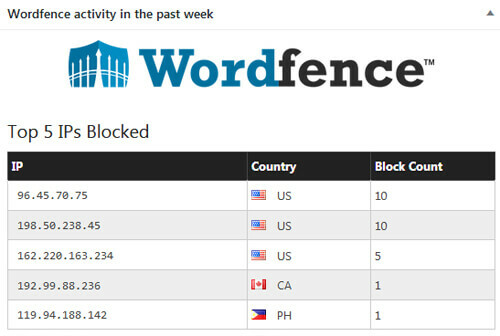 Wordfence offers free firewall, schedule scans, rate limiting, live traffic and login security. The firewall blocks malicious programs that may harm your wordpress site, but if the firewall wasn’t able to block it you can do a scan on your website to remove any viruses or malware. The login security is good protection against brute force attack. Real time protection feature is very useful. WordPress site owners can see who is visiting their site and what the visitor is doing. They can ban IP’s of people who are accessing their site’s wp-admin.php or ban Ip’s that came from a certain country. Wp Security Pro is a free plugin you can use to protect your wordpres site. It also one of best wordpress security plugin and it has has many features like Login protection, DOS Protection, integration of google captcha on login page, mobile authentication, enforce strong password, registration security, anti-spam, Ip blocking, advance user verification and social login integration. Wp Security Pro is created by miniorange. To use some features of the plugin you need to register an account with miniorange and get the API for the plugin to work. The registration is free and it will only take you two minutes to complete the registration and get your unique API. You can limit the login attempts of a member or visitor of your site. You can modify how many tries a person to successfully login before he gets block if he fail on the number of attempts you specify. The time of block can also be modified for your needs. You can block members/visitors who fail the login process for days, hours or even permanently. Usually 3 attempts on logging in is enough to protect the site form brute force attacks. Another protection from spam and brute force protection. Integration of google captcha in the login page is very simple. You only need to get the site key and the secret key and place it to the place provided and save the setting. Your members even the site owner will have to solve the google captcha before they can login. You can get your google captcha keys Here. This makes sure that the members pick a strong password in order to complete the registration. If a registrant enter a simple password, WP Security Plugin will not permit the registration until he enter a strong password. Visitors who want to register in the site can use their social accounts to login. Facebook or google accounts can be use to register and login to the site if this feature is enable. This feature is an extra layer of security to the site owner and also to the members of the site. Before a person can login to his account, a member must pass the 2 factor authentication. Usually this is done through sending number codes in a text message to be enter in the logging page.